Why choose us to be your dentist in Burke? We devote ourselves to the people of Northern Virginia by renewing the joy and function of their broken smiles – no matter how many years have passed. We help you feel comfortable smiling, have the best health, and enjoy the foods you love again. Our dental professionals’ advanced skills. Your appointments will be right here – in a single office. The latest technology to give you the most natural results. Spa-like comforts to pamper and relax you. Optional sedation dentistry, which saves time and reduces fear. Your smile will look balanced, natural, and function perfectly. Our Enthusiasm Towards Pampering Makes A Difference! My teeth had been bad for years. I had given up. I was actually scared. I needed 20 teeth pulled, and I was concerned about what might go wrong. When I got to the office, I can’t tell you how impressed I was. They never rushed me or pressured me at all. Everything was explained and happened just like they told me. 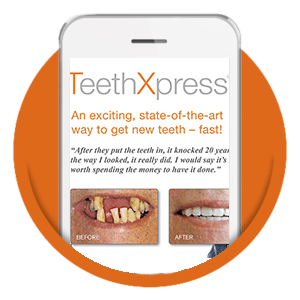 After 20 or so years of hiding their smile, chewing wrong, and feeling embarrassed, some of our patients stare ecstatically at their new smiles with a tear or two of joy. This is why I choose to help in the way I do. Everything we do is focused on the WHOLE-PERSON. All of our dental solutions look naturally healthy, are functional, and beautiful. Learn about our popular services. Eat, speak, and smile with confidence with implant dentistry. See how full mouth rehabilitation can renew your smile’s function and beauty.